The course was two days long. I liked the way it was run. The trainer was a clever guy with the attitude to make these meetings nice and useful. The intention was to give participants efficient preparation for the exam. 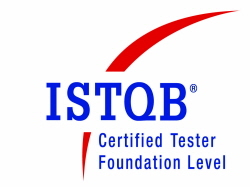 By the way, none of attendees was a software tester and all we passed the exam. In my opinion the exam was easy. My preparation was mainly during the course. There were 40 questions. The pass score is 65% i.e. 26 correctly answered questions. I passed it with a score of 82.5%. It is especially easy to learn the topic if you have some experience in software development. There is required knowledge of some special QA terms and the rest is common sense.